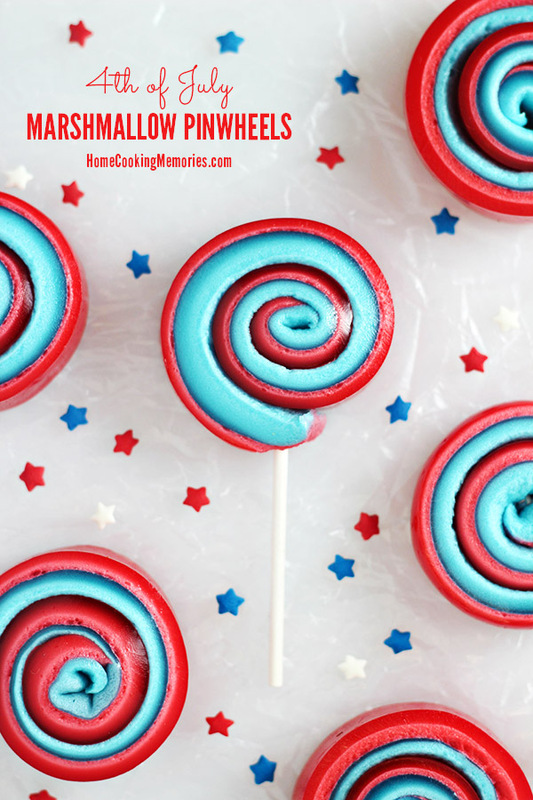 I’m so excited to share these fun 4th of July Marshmallow Pinwheels on a Stick! They are easy to make, only take a few ingredients, and kids LOVE them! I just adore how fun they look — and aren’t sweet treats on a stick the best? I originally saw the idea on the Kraft website and, being a marshmallow fanatic, I just had to try making my own version. 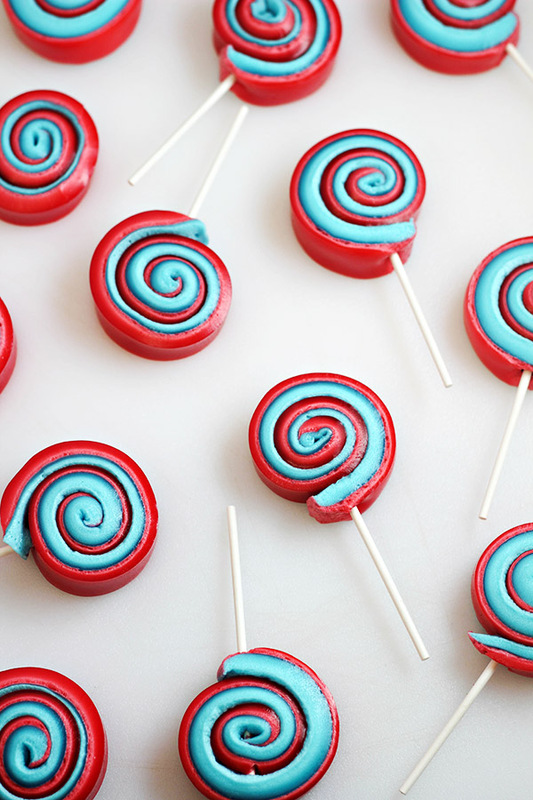 To make them, you’ll need a box each of red and blue JELL-O. For mine, I used Strawberry JELL-O and Berry Blue JELL-O. Finding the Strawberry was no problem (plus there is lots of other red JELL-O’s, but many of my usual grocery stores didn’t carry the Berry Blue JELL-O. BUT, I did end up finding it at Walmart, which is where I bought it. First, you start with the red gelatin and combine it with a bit of warm water. It’s then microwaved until the gelatin is completely dissolved. Miniature marshmallows are stirred into the hot gelatin mixture until they are all coated with the gelatin mixture. Place the gelatin coated marshmallows into the microwave and heat it up a bit – just so you can begin to melt the marshmallows. Stir those babies up with a whisk until they are completely dissolved and you see no more white spots of marshmallow. While you could rush to get this into the refrigerator now, I like to let the mixture cool on the counter top until close to room temperature — during this time you’ll notice the marshmallows starting to separate from the gelatin, which is perfectly okay. Give it one more stir to combine everything and then pour into a 8.5×11″ baking dish that has been sprayed with cooking spray. The red layer is then placed into the refrigerator until firm. 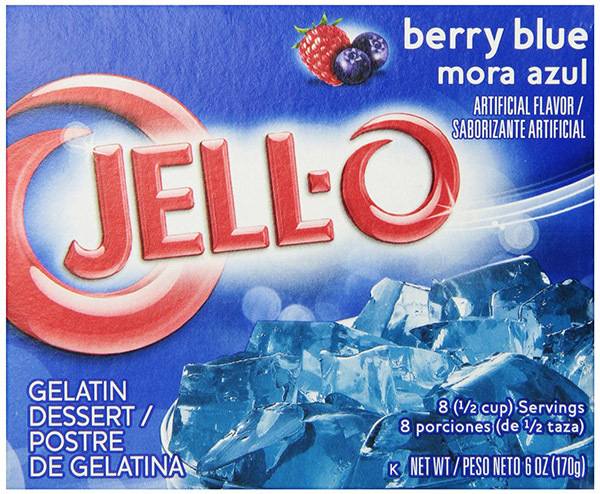 While the red layer is in the refrigerator, repeat the same steps with the box of blue gelatin. 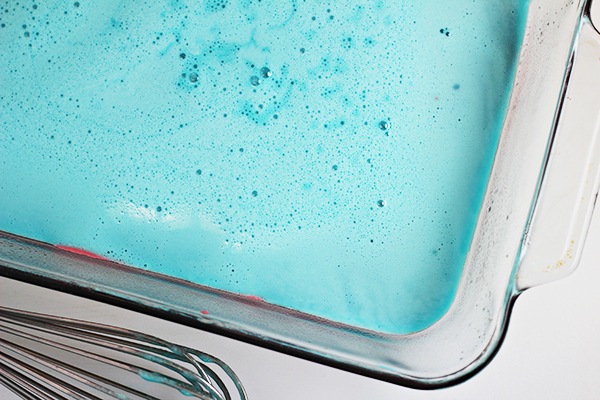 Remove the baking dish from the refrigerator and pour the room temperature blue gelatin mixture on top of the red layer. Return the baking dish to the refrigerator until the blue layer is set. When the blue layer is set, remove it from the refrigerator and run a knife around the edges of the pan to loosen the layered gelatin from the pan. Carefully turn out the gelatin on to a clean work surface (I turn it out onto a large plastic cutting board). With a very sharp knife, or pizza cutter (which is what I use), cut the gelatin into strips that are about 3/4″ wide and 8.5″ long. One by one, carefully roll each strip of gelatin into a pinwheel. 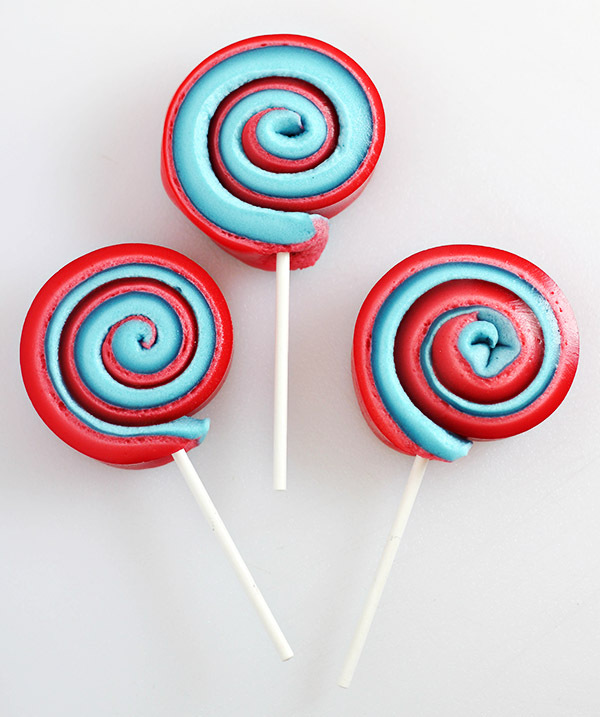 Near the end of the pinwheel strip, you’ll insert a small 4″ lollipop stick for maximum fun! See how easy that was? Be sure to get these into the refrigerator right away after rolling for best results. While they are on a stick, they don’t do well standing up for display (they stand up fine when someone is eating them), so I recommend laying them on a large platter or plate and covering it with a bit of plastic wrap. And remember, these are made of gelatin and marshmallows, so they won’t do well in outdoors in direct heat. If your celebration is outside, I would recommend bringing them out a bit before serving, keeping them in the shade, and even placing their platter/plate on top of a pan of ice. If indoors, they can sit out a bit longer (and without ice). If you want to make a really cute presentation, you can also cover these with a clear candy wrapper (small treat bags) and tie it closed with some ribbon. 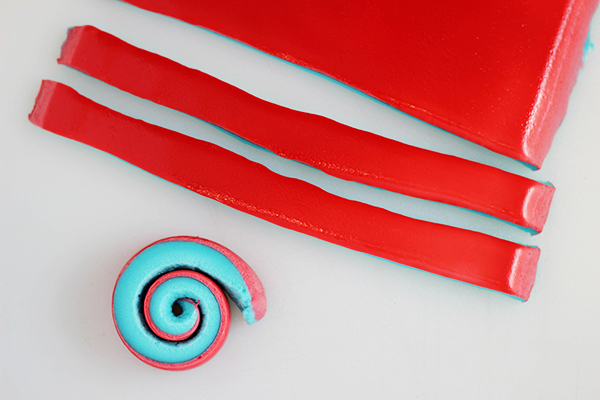 Plus, this idea can be changed up for other holidays – just change out the colors of gelatin. Here is the complete recipe — if you like this idea, we’d love for you to share it on Facebook or pin it on Pinterest! 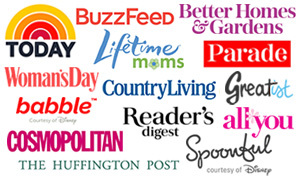 Thank you for your support and Happy 4th of July! Spray an 8.5 x 11″ baking dish with cooking spray. In a large microwave safe bowl, combine the red gelatin and 1/2 cup of warm water. Microwave on high for 1 1/2 minutes; remove from microwave and stir until gelatin is completely dissolved. 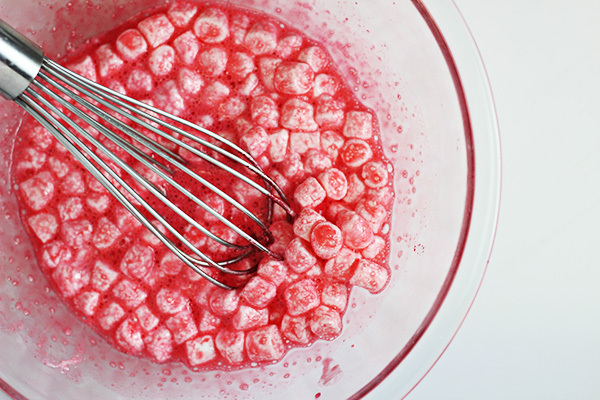 Stir 1 1/2 cups marshmallows into the red gelatin mixture until they are all coated. Microwave on high for 1 minute or just until marshmallows are partially melted. 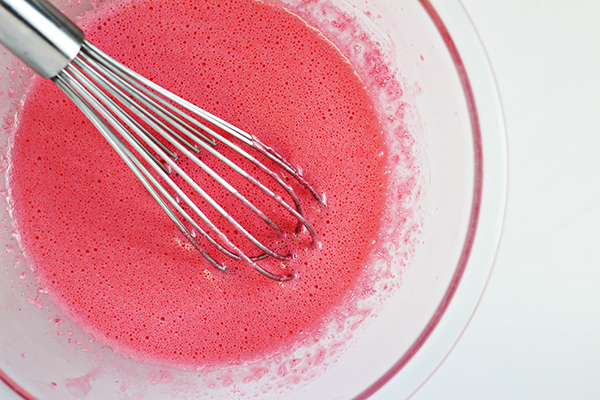 Remove from the microwave and stir marshmallows with a whisk until they are completely dissolved into the red gelatin mixture. Allow to cool until close to room temperature. Whisk together mixture again and then pour into the prepared baking dish. Place in refrigerator to set. While the red layer is setting in the refrigerator, begin preparing the blue mixture. Repeat the same steps for the blue gelatin. When the red layer is set, remove it from the refrigerator. 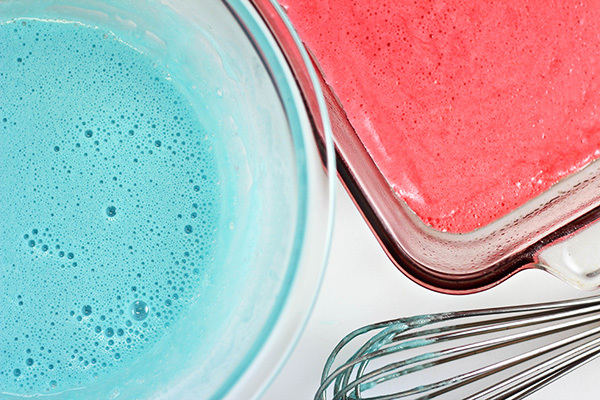 Whisk the blue gelatin mixture one last time and then carefully pour the blue gelatin on top of the set red layer. Place the baking dish back into the refrigerator until the blue layer is complete set. Remove from fridge and run a sharp knife along the inside edge of the pan to loosen the gelatin from the edge. Turn the pan over onto a clean work surface to remove the gelatin from the pan. With a sharp knife or a pizza cutter, cut the gelatin into strips that are approximately 3/4″ wide and 8.5″ long. Roll each strip up into a pinwheel. 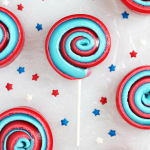 Near the end of the pinwheel strip, carefully insert a small 4″ lollipop stick into the middle of the edge of the pinwheel. Push the stick all the way through, just until you start to feel like it might push out the top (but be careful to not put it all the way through the top). Repeat with the rest of the gelatin. Lay pinwheels on a serving tray or plate and refrigerate immediately. 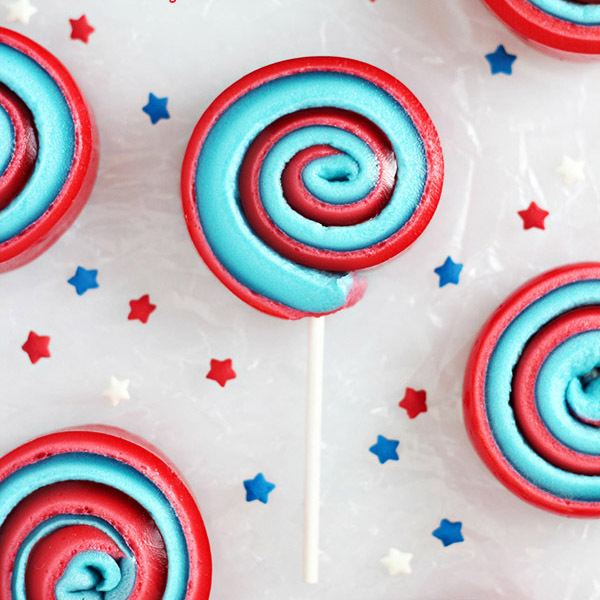 Want even more 4th of July recipes? Check these out! How cute are these!?! Thank you so much for sharing at Inspire Me Monday. I can’t wait to make these for the grandkids.